Whether you need to rent to cover a peak season, or your equipment is down for repair, we have the industrial equipment rental fleet to help you get the job done. Our rental plans allow you to meet peak production or seasonal requirements while keeping your fleet sized for everyday needs. We carry a full line of forklifts – from walk/rider pallet jacks to 30,000 lb. models designed for outdoor applications. Whatever the need, we have the equipment you require. 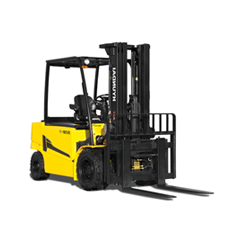 Our forklifts are available for daily, weekly, or monthly contracts. And we can also customize agreements for longer rental terms. To learn more, click on the link below. Do your teams need to access hard-to-reach areas of your warehouse? 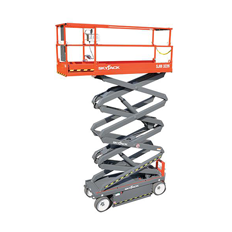 Look no further than our premium line of electric scissor lifts. Manufactured by Skyjack, these adjustable, motorized platforms can help you easily retrieve or store inventory – even in the least accessible places. A clean warehouse is a productive warehouse. But manually sweeping your facility is time-consuming. And investing in powered cleaning equipment can be expensive. 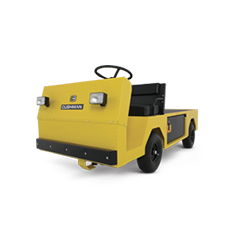 But renting one of our PowerBoss sweepers or scrubbers can provide you with the clean, productive warehouse you desire – at a price that makes sense. 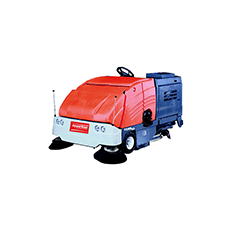 Keep these rented sweepers for as long as you need and only pay for usage. The larger your facility grows, the more spread out everything becomes. And every second that your teams spend in transit represents lost productivity. But by leasing one of our personnel carriers, you can quickly transport your employees wherever they need to be in record time. These rentable personnel carriers can help reduce delays and speed up throughput – without breaking the bank. Interested in one of our products? Give us a call at 510-931-5826 or click below to get started with a free quote now! Give us a call at 510-931-5826 or get a free quote now.